Fascia is made up of densely packed collagen fibres known as connective tissue. Robert Schleip, Ph.D., at the Fascia Research Project in Germany, suggests that fit, resilient fascia results from stressing our tissues in varied ways—stretching, compressing, and twisting them in multiple directions, at varying speeds, and under different loads. 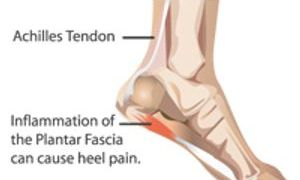 Injuries to fascia occur due to overuse and underuse. Too much exercise thickens the fascia…. Not enough exercise makes the tissue less adaptable to Stress. Tensile massage to the fascia to stimulate and adapt the tissue to tensile stresses in the more “relaxed” individual. Try this for a few minutes per day for 7 -10 days, either in sitting, or standing (if you are brave! ).